(Although it was a bit ago, ) We went to a restaurant called White Rabbit since we heard that their food is very good. It's a restaurant, but the interior is very simple and casual like a cafe, there is no formal atmosphere. The interior is modern but the vintage wooden furniture made it dress down in a nice way. Their brunch menu is the tapas style. We took 3 dishes for ￡18, of course you can choose dishes. 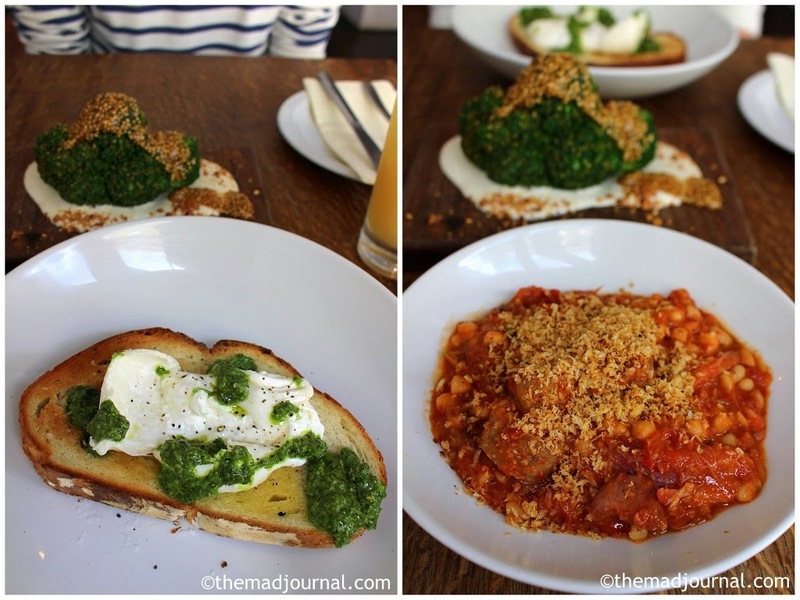 We had a toast with basil sauce and cheese, cassoulet, and broccoli. The cassoulet is french home cooking, my partner's favourite. My french partner can assure that their cassoulet is very good. This is the broccoli we ordered as they said this is the popular menu of the restaurant. But other food was so nice that I would love to try their dinner menu.